We kicked off the year by heading to Florida to attend The Kitchen and Bath Industry Show with DXV! 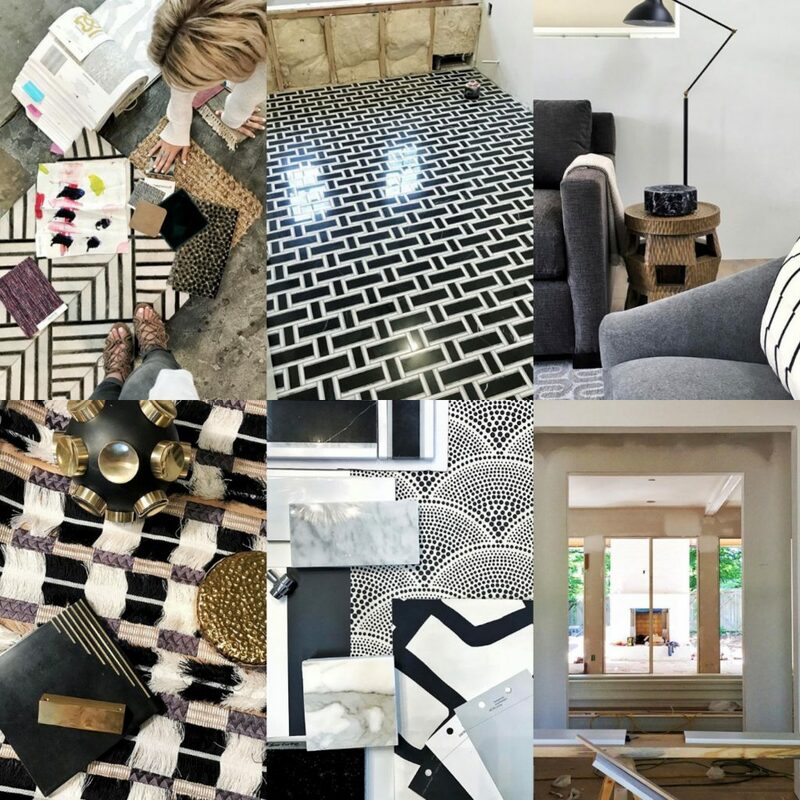 We scoped out up-and-coming design trends to inspire a year full of projects for our interior design clients and wooed Howie Mandel with our Design Panel space. 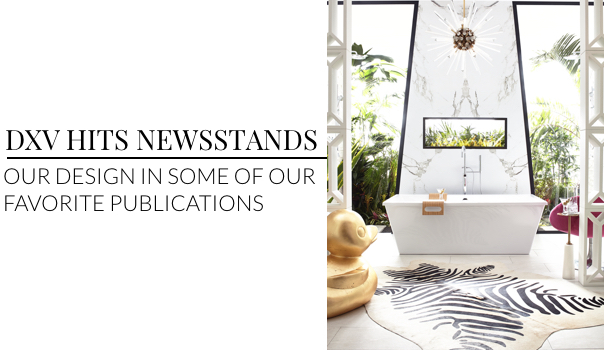 Seeing our design for the DXV 2016 Design Panel in some of our all-time favorite publications, like Vanity Fair (gasp!!) and Architectural Digest was definitely a career highlight. Working with DXV on this project was an all-around amazing experience and seeing it published was the sweetest of cherries on top. 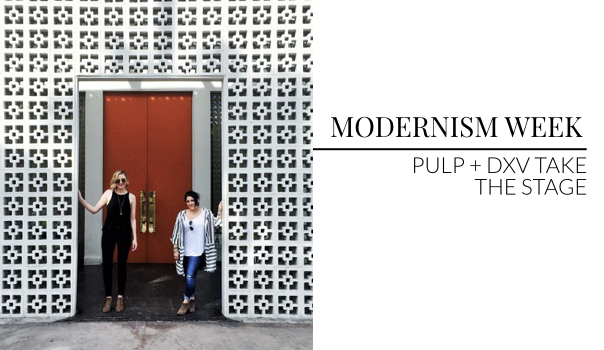 We headed to Palm Springs after being invited by DXV to attend and speak at Modernism Week! It was a great opportunity to network, learn and soak in all the beauty of one of our favorite areas. 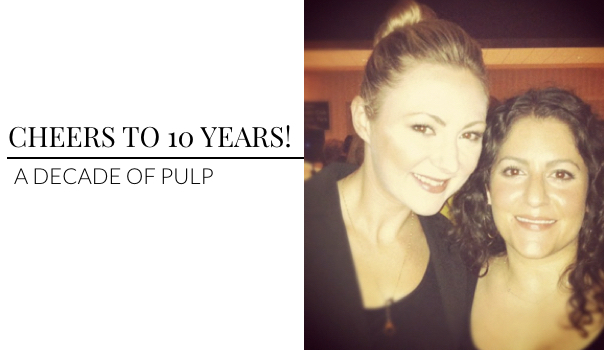 Not only was this one of our busiest years yet, but we celebrated our 10 year business anniversary on March 15! 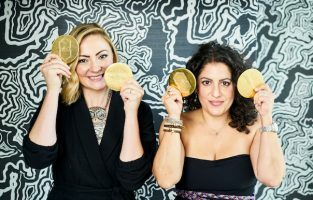 We couldn’t have asked for a better tenth year and love looking back on our milestones over the years. 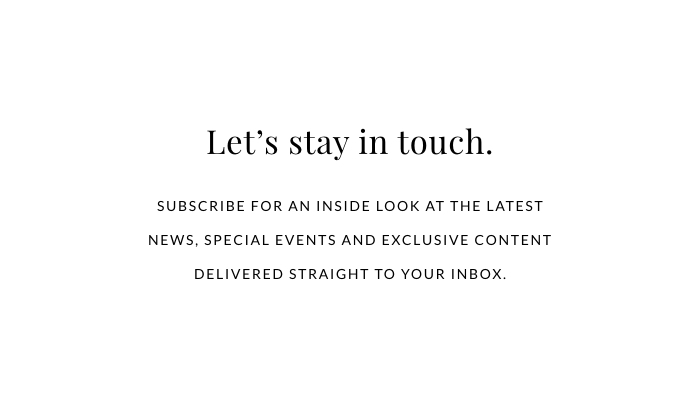 Check out our videos and anniversary page to see just what we’ve been up to these past 10 years! We hope you appreciate this throwback photo to Pulp’s early days! 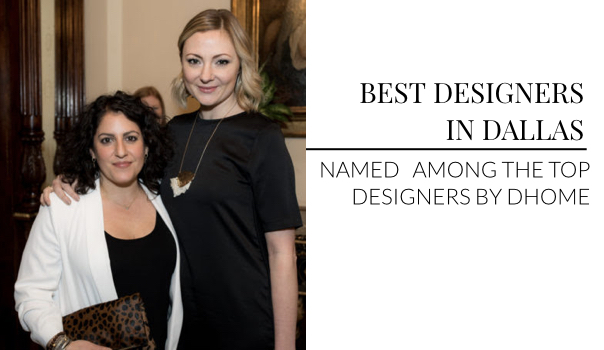 It was splendid timing to celebrate being named among the best interior designers in Dallas by D Home Magazine during the same month we celebrated our 10 years! 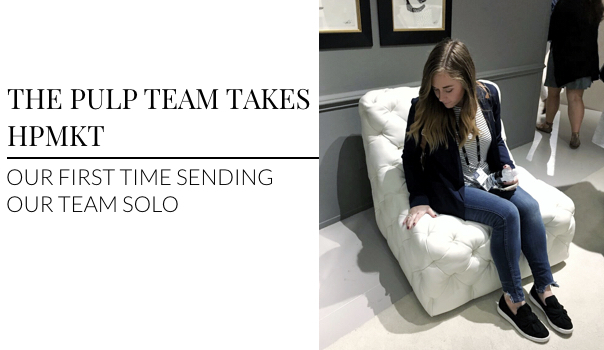 We hopped on another plane and headed to High Point Market for one of our favorite design trips every year. 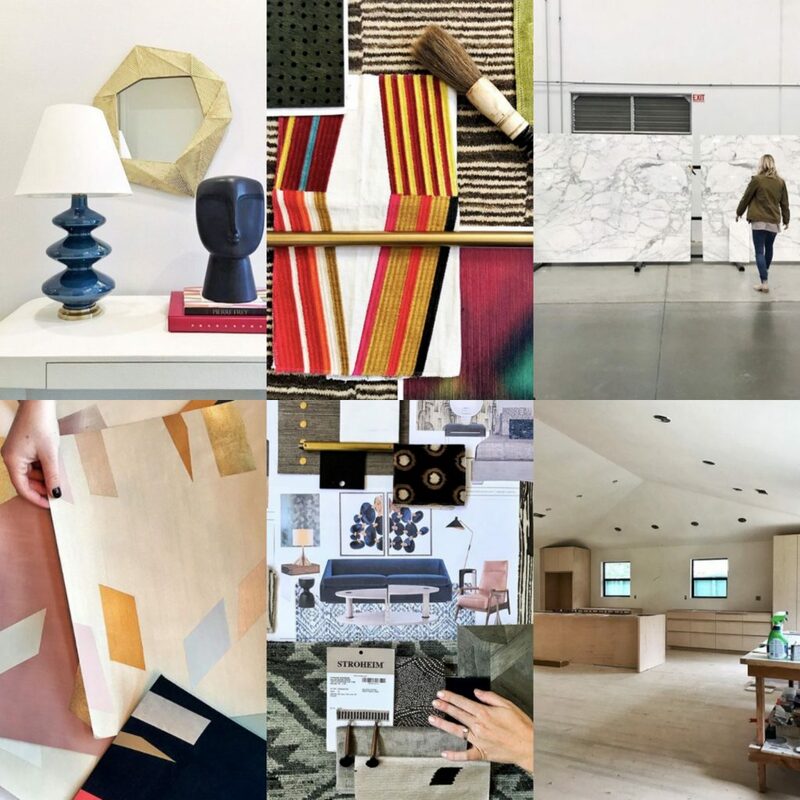 We spend the weekend touching, feeling and testing out the best furnishings for our clients. 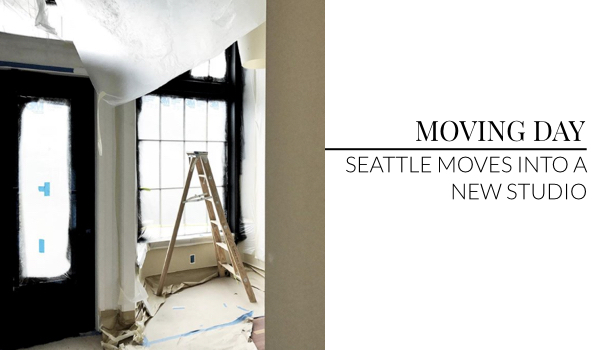 We outgrew our Ballard studio and moved into a storefront space in Queen Anne, one of our favorite Seattle neighborhoods! 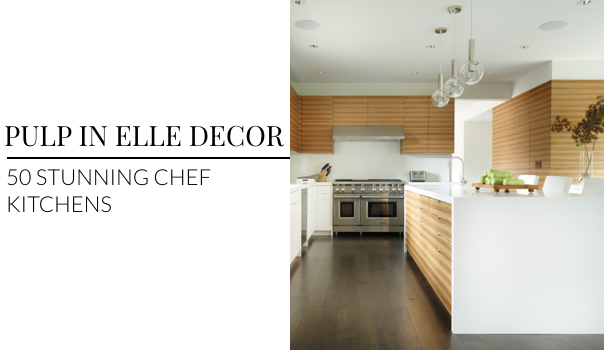 The kitchen we designed for our Contemporary Warmth project was featured in Elle Decor‘s roundup of “50 Incredible Chef Kitchens for Every Type of Cook“! Seeing this feature was such a treat! 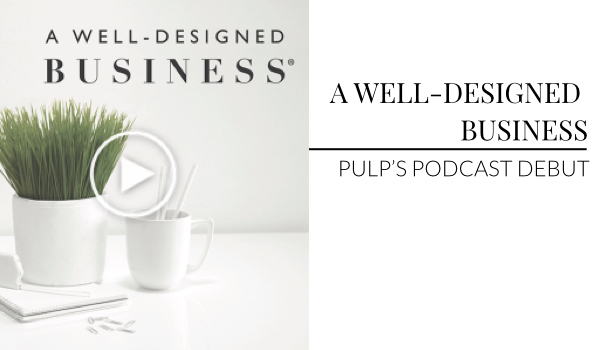 We were thrilled to take part in A Well-Designed Business podcast to share a bit of insight into what goes on behind the scenes at Pulp. 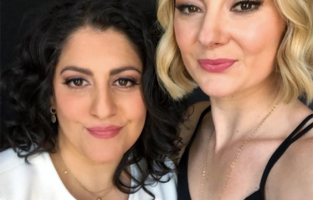 There was no better way to make our podcast debut! 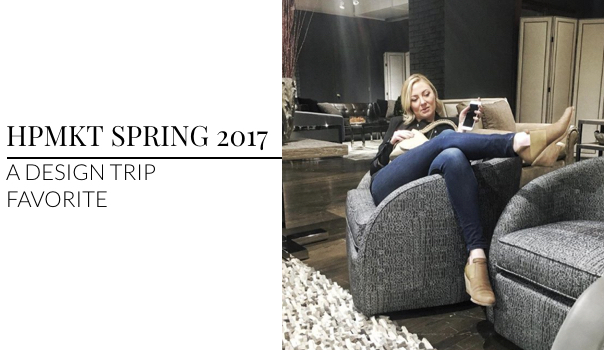 Nearly no month of 2017 lacked a design trip. 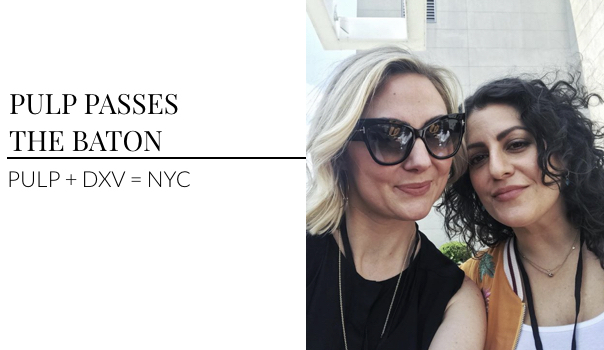 We jetted to NYC in July to pass the design panel baton to DXV’s 2017 panelists. 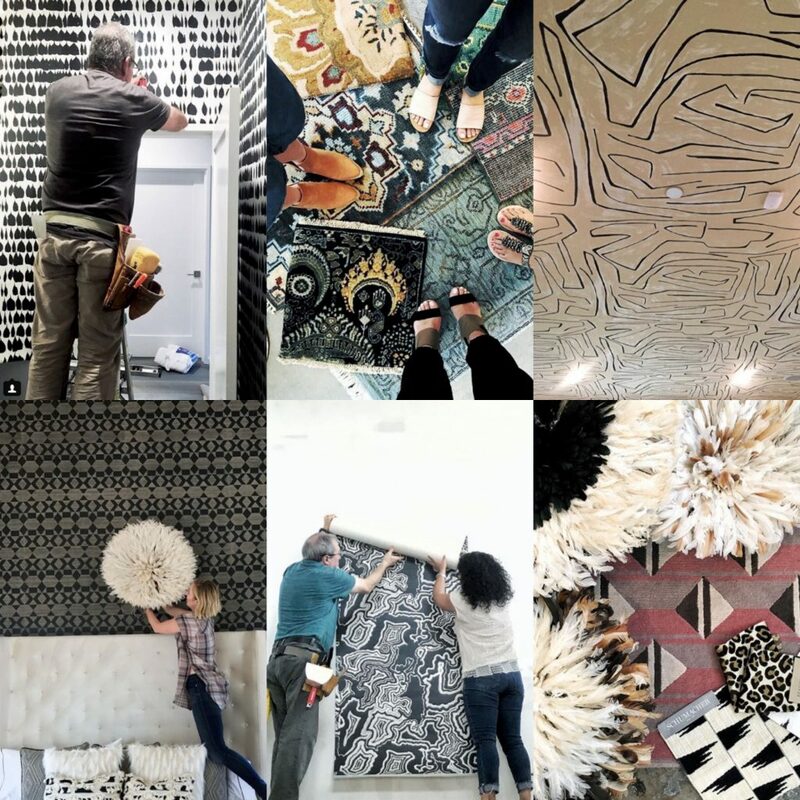 We always look forward to seeing the amazing work each year’s set of designers execute! 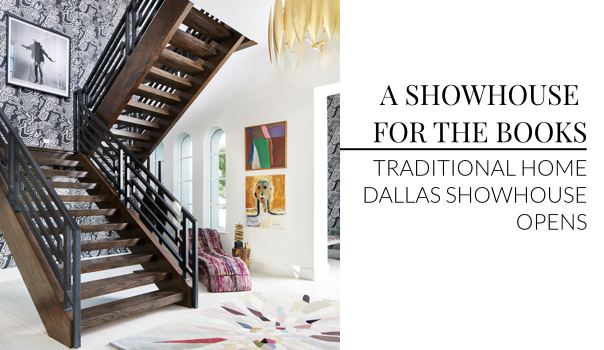 We installed our Traditional Home Dallas Showhouse space and attended a weekend full of glamorous and designed-filled events to celebrate the opening of an absolutely stunning showhouse! 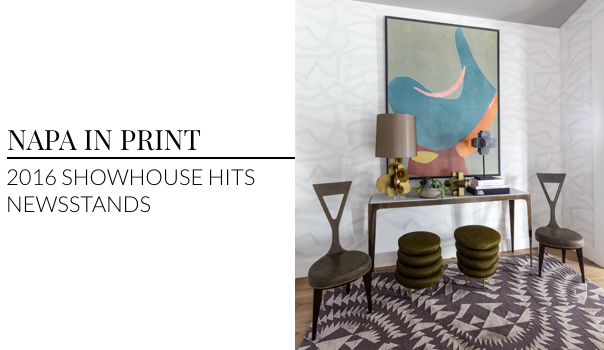 Another Showhouse toast was in order as our Napa Showhouse space, designed in 2016, hit newsstands nationwide in Traditional Home‘s October/November issue. Our Fearless Style project was featured in a four-page spread in the November issue of Better Homes and Gardens. We’ll never get enough of this project and were so proud to see it published in print! 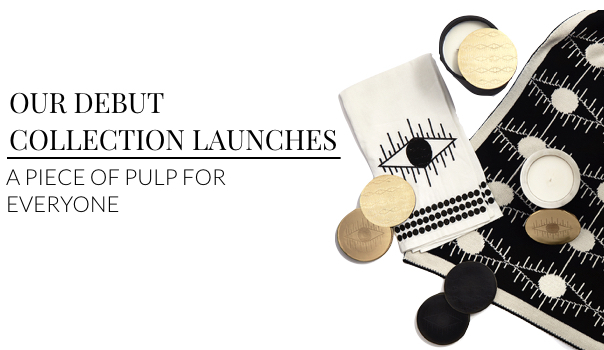 After nearly an entire year of relentless work to bring our first collection of entertaining and gifting goods to utter perfection, we launched Kismet Lounge into the world in October. Another day, another feature. 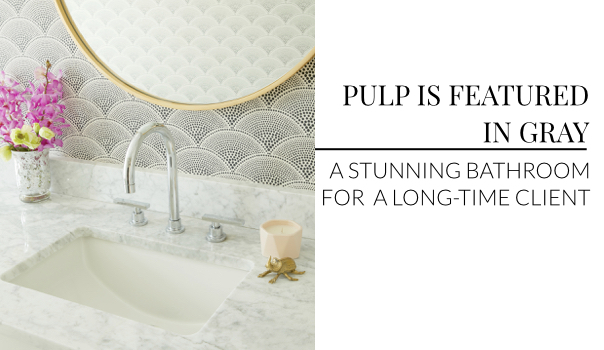 We were thrilled to see the guest bathroom we designed for a long-time Pulp client featured in the awe-inspiring Gray Magazine. 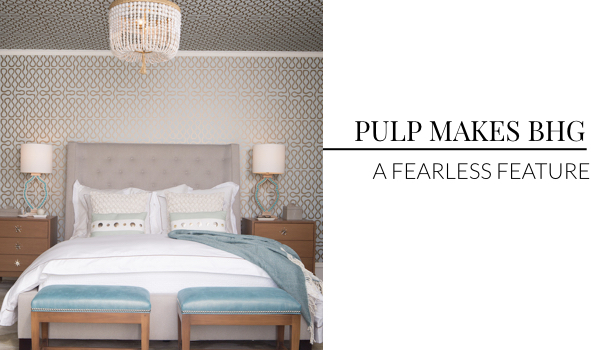 October’s High Point Market marked a new milestone for Pulp as we stayed back and sent our design team to scope the best of the best without us. We loved hearing about their experiences and getting to see all the goodies they brought back! 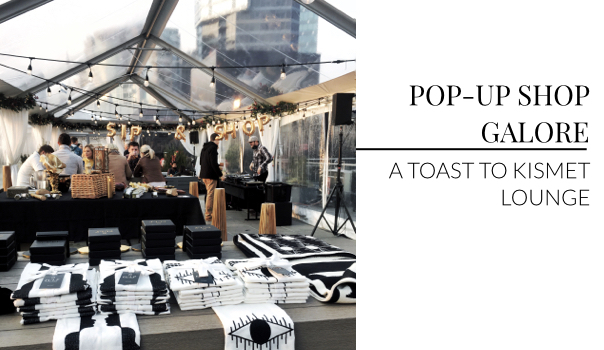 We brought our collection to the ultra-sleek Thompson Hotel in downtown Seattle for an afternoon of sipping and shopping with some of Seattle’s finest. 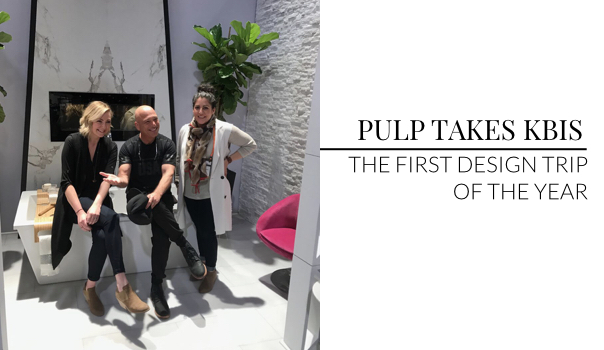 We also hosted two amazing pop-up’s in our Seattle and Dallas studios to celebrate the launch and allow our clients and customers an exclusive look at the line.